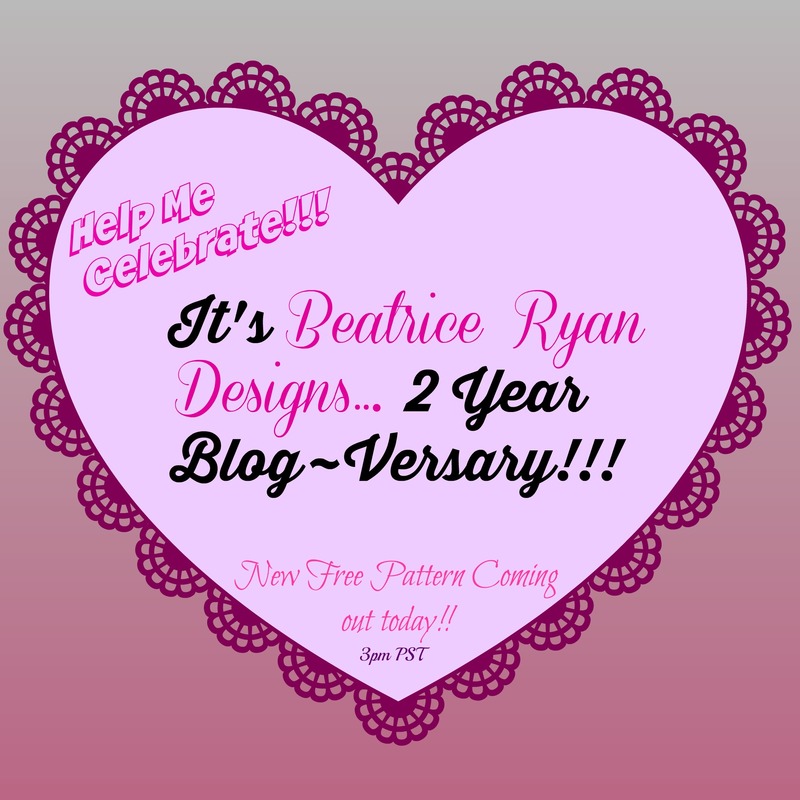 Yes,,, It has been 2 years today that I started Beatrice Ryan Designs ~ Love of Crochet!!! I hope you all have been enjoying my crochet journey and also love the free patterns!! To celebrate… I will be posting a brand new FREE PATTERN in just a couple hours… So Stay Tuned!!! Crochet with Me Crochet A Long News…..